Clean, safe water is vital to thrive and live as God intends. But, a drilled well isn’t always the most appropriate technology for a given situation. Sometimes, it isn’t even technically possible. One size doesn’t fit all. Lifewater’s approach to safe water access reflects the realities of the places we work: regions with unique natural environments, cultural priorities, and technical challenges. 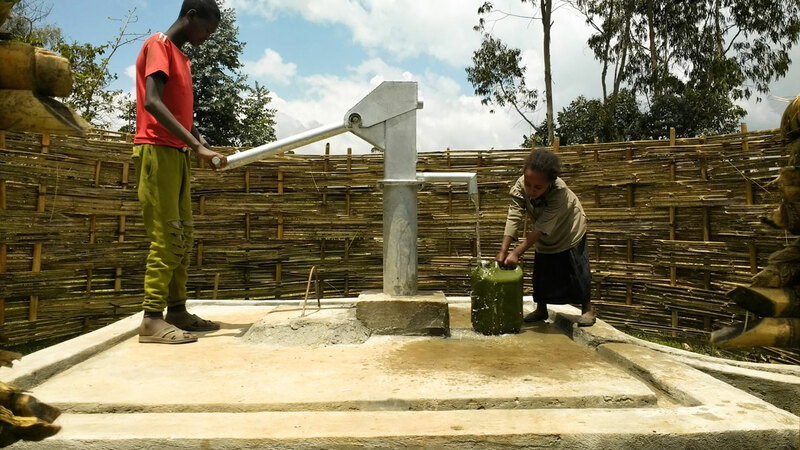 Below are the five types of water technologies used by Lifewater in Africa and Asia. When water is available at a shallow depth below the land surface and roads aren’t accessible or don’t exist, skilled technicians can dig a well (less than 100 feet deep) that is lined, capped, and equipped with a hand pump. From the surface, the hand-dug well looks just like a drilled well, but underneath is very different. This is a primitive form of water access that has been used for generations. Two young children fill their jerry can with water from the village’s hand-dug well. When water is located deep below the land surface (more than 100 feet) and access roads are available, we mobilize a drill rig. Drilled wells are also lined, capped, and equipped with a hand pump. Drilling depth typically range from 100 to 400 feet, depending on the location. A child celebrates the clean water coming from the village’s new drilled well. Naturally flowing spring water can be captured and directed to a tap or piped system, protecting it from contamination. This is a very low-tech solution that can last a long time when constructed properly. A young Ethiopian girl collects water from her community’s capped spring. A rainwater harvesting tank is a system in which one or more tanks store rainwater collected from a roof. It’s a common solution at schools with large buildings and surface area to capture the rain. This needs to be flushed and chlorinated to provide safe water for schools. 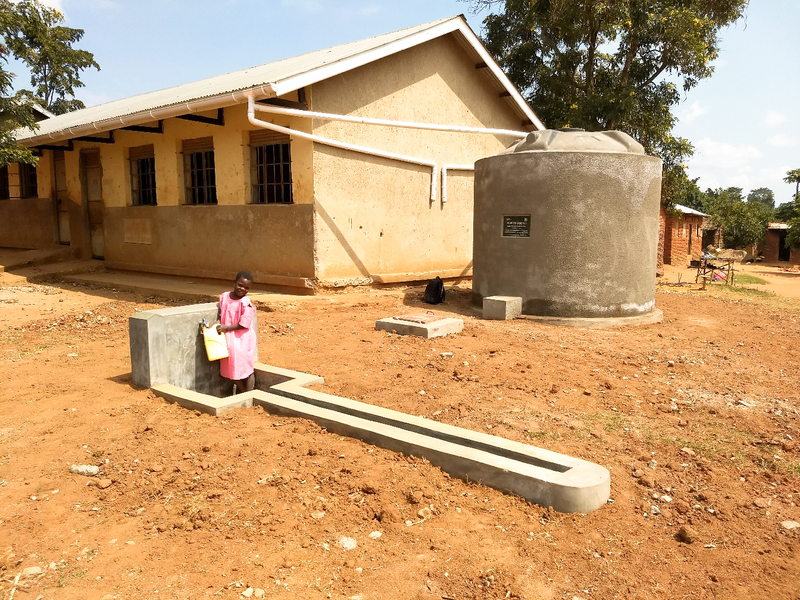 A Ugandan girl gathers water from her school’s new rainwater harvesting tank. Before developing any new water sources in a region, Lifewater first works with communities to rehabilitate existing sources. Repairing an existing source is often much more cost effective than constructing a new one, and when done properly and professionally, can serve a community well. 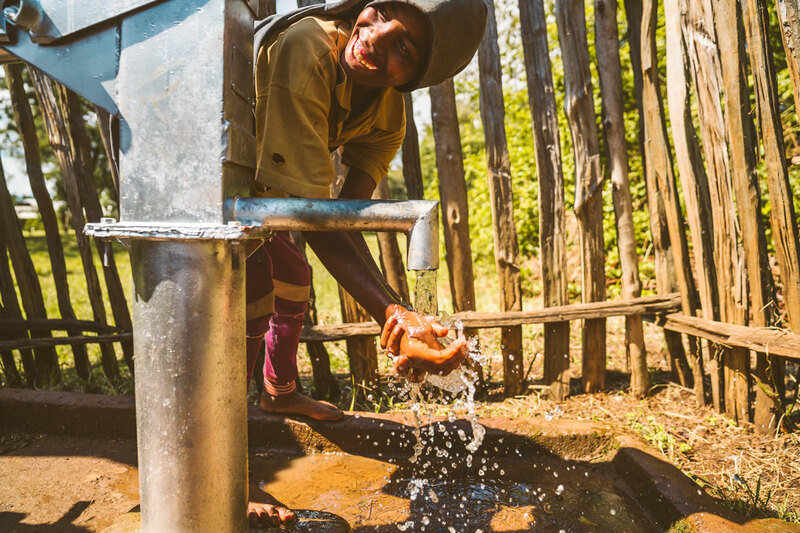 By fixing water points that have fallen into disrepair, we can help multiply the impact in hard-to-reach communities. 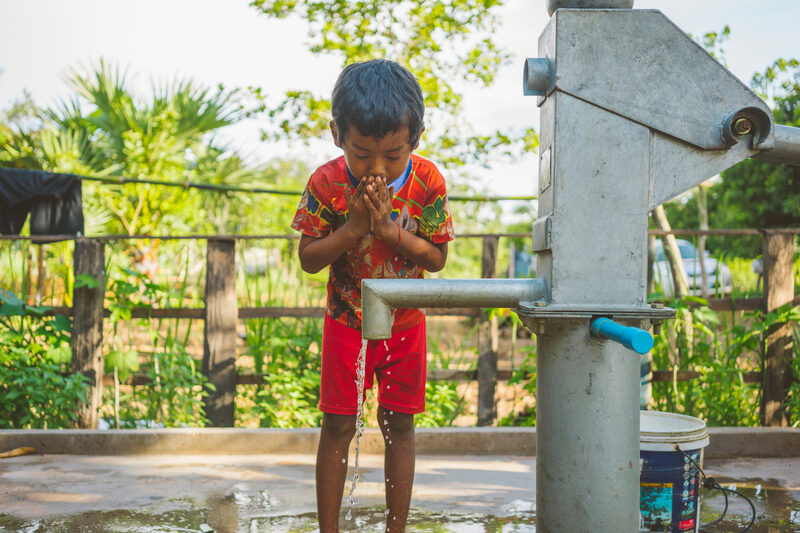 A Cambodian boy drinks from his village’s rehabilitated well. 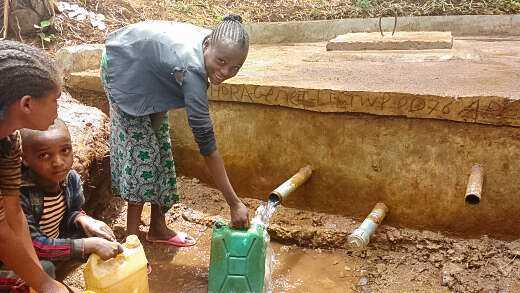 After rehabilitating any existing wells in the district, Lifewater works with individual communities in need of safe water to measure things like population, distance traveled, and queuing time to make sure everyone in the village is served. While the types of water sources may vary, the schools and communities we serve share a common reality: access to safe water is essential for people to live, work, worship, and make a way out of poverty.